"It is important to strike a balance and a compromise for this bill to garner enough votes." 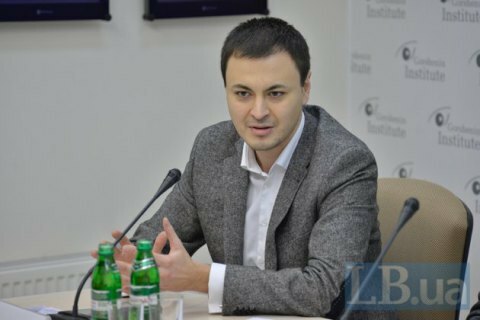 Verkhovna Rada deputies have filed over one thousand amendments to the bill №5180 of the High Council of Justice , which is being prepared for the second reading, MP Ihor Oleksiyiv (Popular Front) told a roundtable discussion organized by Gorshenin Institute and the RPR on 16 December. "The bill is now under consideration by the relevant committee. It has garnered a considerable number of amendments – over a thousand. It is important to strike a balance and a compromise for this bill to garner enough votes to pass," said the deputy. He stressed three critical, in his opinion, moments that need to be addressed: the procedure of re-election of judges, appointed in the times of Victor Yanukovych; the procedure for bringing judges to justice; and the mechanism of public influence on the selection of judges. "I am concerned about the final provisions, which allow for a simplified procedure of ad infinitum re-election for the judges who were appointed [for five years] in the times of Yanukovych. Nobody says these persons cannot work any further in the judiciary system, but on the usual terms, no simplified procedures, please," he said. "Secondly, we've all seen how difficult it is to draw a judge to justice, detain or arrest him [or her]. I believe it must be laid down in the law on the High Council that the issues of detention and arrest of a judge should be resolved without his [or her] participation. Involving such judges into the process allows potential criminals to avoid prosecution," Oleksiyiv said. "As for the role of the public, I believe the public should influence the process of formation of the judiciary and must have effective instruments to expose dishonourable judges," said the lawmaker. The bill on the High Council of Justice №5180 is needed for the implementation of changes to the Constitution in terms of justice and the law on judicial system and status of judges.